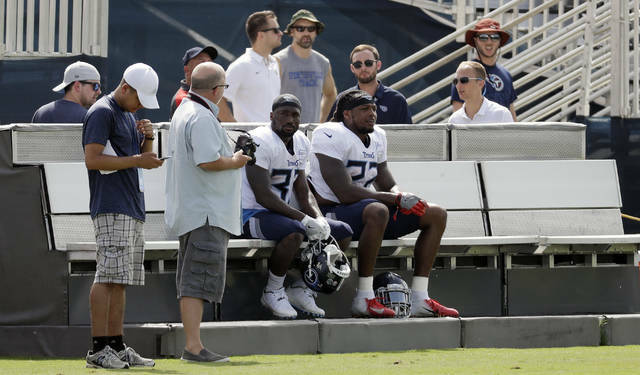 NASHVILLE, Tenn. (AP) — Tennessee Titans running back Dion Lewis has been so focused on football with his new team that he didn’t realize until a few days into training camp just how special the benches on each sideline really are. “I don’t think our players have done a good enough job of taking advantage of it, but, we’re trying it out,” Vrabel said. This August, an 18-wheeler dropped off what looks like a massive storage trailer. Inside, it’s actually a chilly 25 degrees featuring dim lighting and black padded folding chairs. Payton said colleges such as LSU and Alabama are among those already using the cooling trailer. Being in muggy Louisiana, the Saints didn’t have to go far to find a company that could help them out. Payton said when the temperatures soar, teams can’t cool players down enough. The trailer allows New Orleans to keep the Saints refreshed enough to practice, not just survive until the final horn signals a blissful end. “You want to not just be running plays, and then you also have an answer if someone is going through a second-level heat illness or God forbid something more serious,” Payton said. 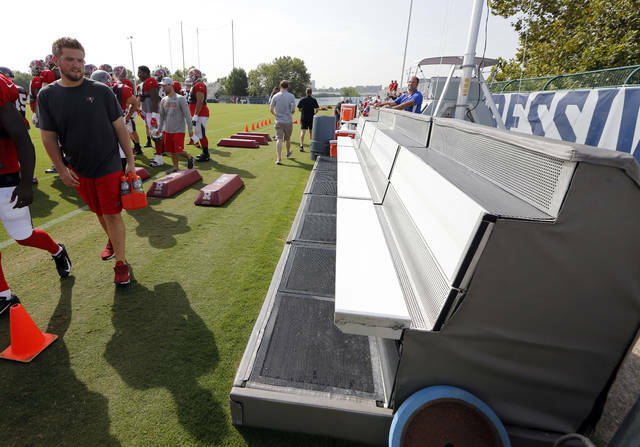 The Tampa Bay Buccaneers don’t use cooling benches. For the first time, they are making good use of an indoor practice facility — complete with air conditioning — that was completed earlier this year. He’s started several practices outdoors before going inside where the Bucs even installed bleachers for fans attending open sessions. Koetter also keeps the Bucs inside for walkthroughs to avoid the heat. Just standing near the cooling bench is comfortable enough to watch an entire practice without even needing to sit on the chilled aluminum seats. Titans running back Derrick Henry tested the cooling bench last weekend and liked what he found. A big man at 6-foot-3, Henry says he won’t use it too much to avoid stiffening up.